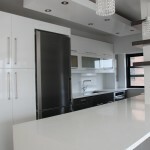 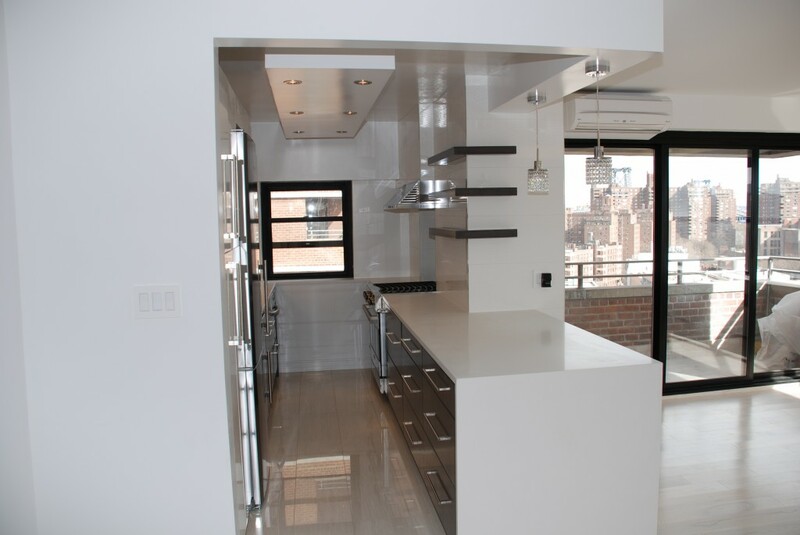 A modern european style kitchen with flip up cabinets. 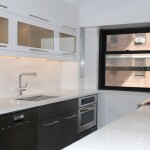 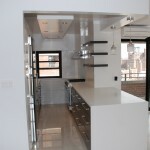 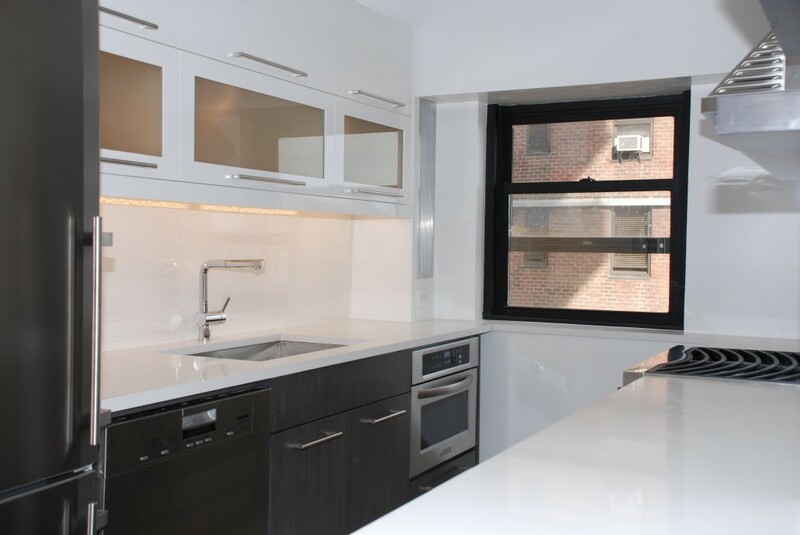 The brightness of the kitchen is achieved by the white and frosted glass top cabinets and yet a warmth is created through the use of the grey stained base cabinets. 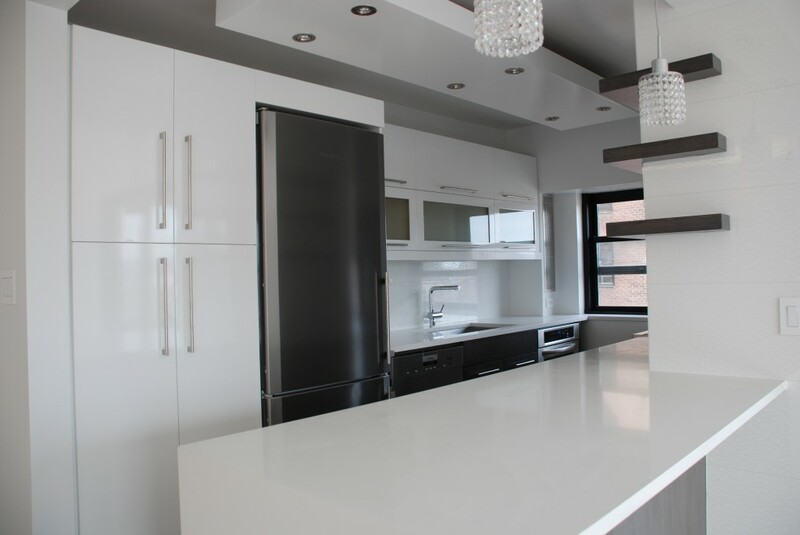 These were custom made cabinets to fit exactly in the space and the stained color was a perfect blend of grey and brown that the young owner was looking for. 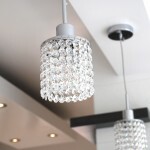 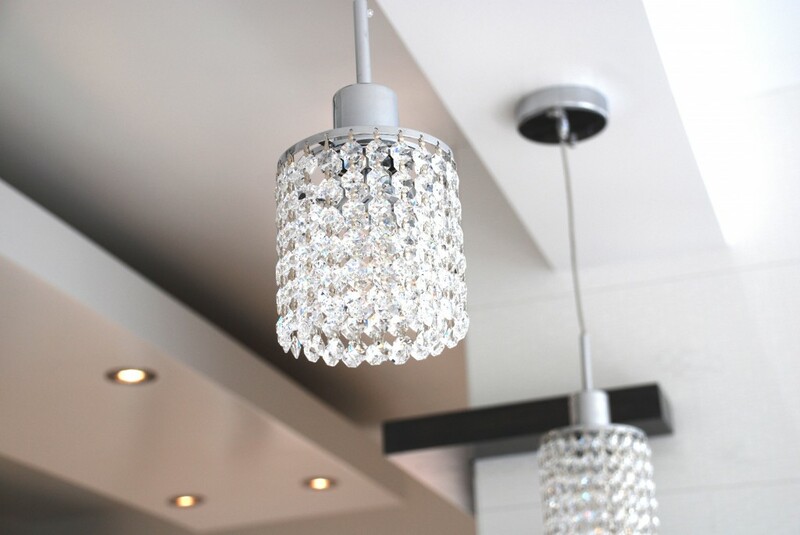 Like a sparkly little ear ring that compliments the perfect outfit, this Swarovski Crystal Pendant makes this already stunning kitchen really stand out.